Great for Party and School Activities. Conforms to the safety requirements of ASTM F963 and CPSIA. Thomas the Train Stickers Party Favor Pack -- Over 600 Stickers. Featuring the Thomas and Friends characters! 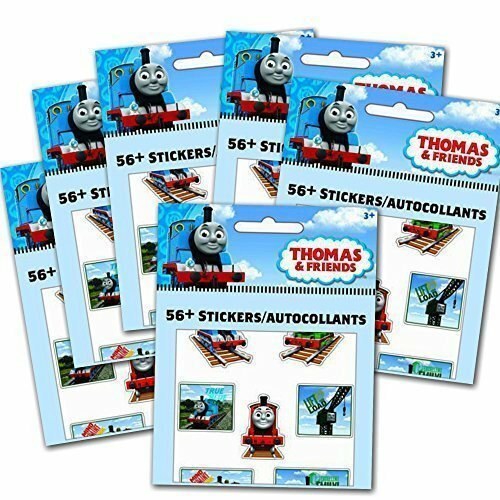 Six individually wrapped Thomas the Train sticker packs -- each sticker pack contains over 100 stickers on 8 sheets (48 sheets total). Perfect to hand out at Thomas the Train birthday parties! Great fun for any Thomas the Train fan! Perfect as Thomas the Train party supplies, party favors, reward stickers, motivational stickers and more! Colorful Thomas the Train stickers featuring Thomas, James and other favorite Thomas and Friends characters. The perfect gift for any Thomas and Friends fan! Officially licensed Thomas the Train toys and games products. Old school noisemakers evoking images of riding the rails. 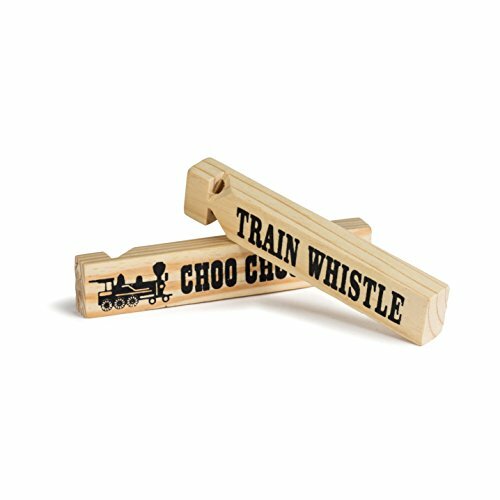 These wooden train whistles make great party favors and carnival prizes. 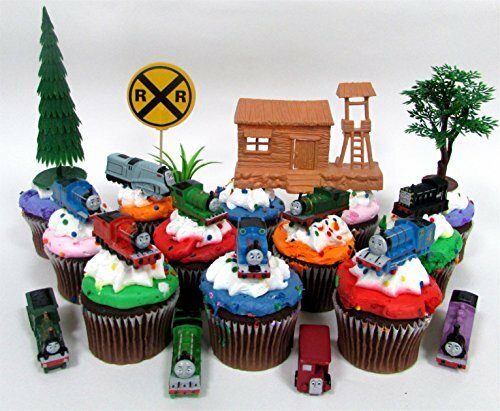 Great for Thomas the Train Party Favors. Chugga, Chugga, choo-choo!! 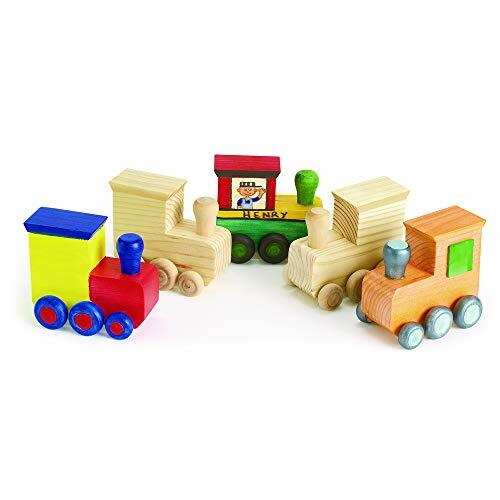 all aboard the Made By Me wooden train! 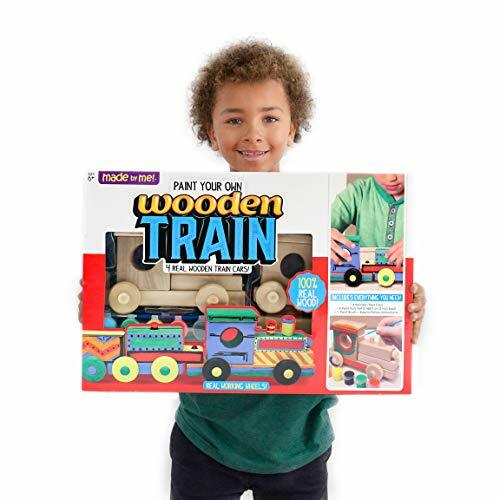 paint, decorate and customize a four car wooden train set. Easily connect the train cars with the attached pegs and peg holes or keep each piece separate. With moving wheels, this toy is perfect to incorporate in pretend play. Watch your child beam with pride as their train chugs alongside their toys! when your little one outgrows playtime, this set makes a great childhood keepsake. Recommended for aspiring conductors ages six years and up. Train Crayons by MinifigFans are a great party favor that kids will love. Excellent for your child's playtime or party! 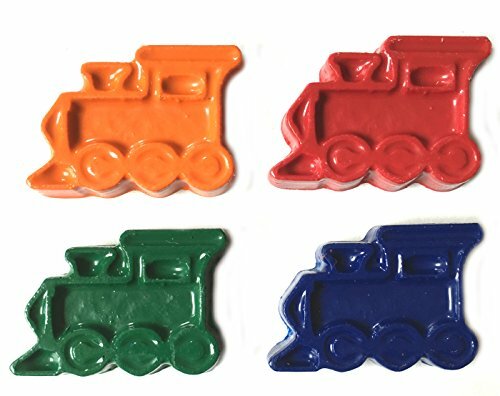 These train crayons are hand-crafted in the USA from non-toxic crayons and come in four colors . You will receive 12 sets pre-packaged in bags of 4 crayons, one of each color (Red, Blue, Yellow-Orange, and Green). Crayons measure apporx. 1.25 inches tall by 1.5 inches wide. All aboard for crafting fun. 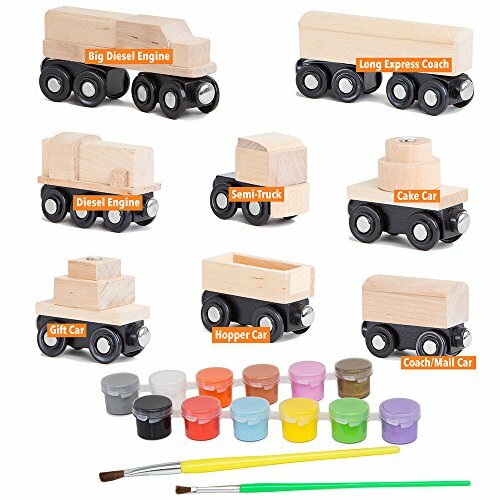 Your little conductors will love to decorate their own trains with tempera and acrylic paints, markers, glitter glue and more! 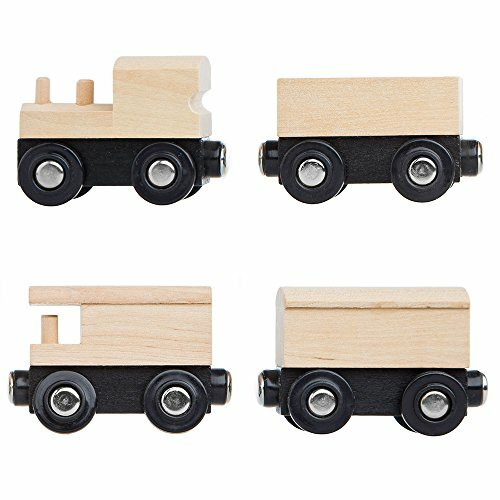 (trains really roll; made from solid wood; 3-1/4"L x 1-1/4"W x 2-3/4"H) - discount school supply item # LOCO.